This is super easy. 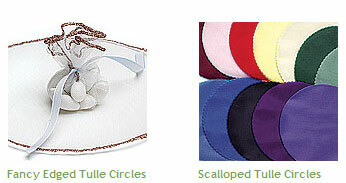 Just get yourself a bunch of tulle or organza circles, put some candy (e.g. jellybeans or m&m's, or sugar covered almonds) in each circle. Tie them with a pretty ribbon and voila! Depending on what you're serving for dinner, this favour might be more than just useful; it might be downright necessary: breath mints! 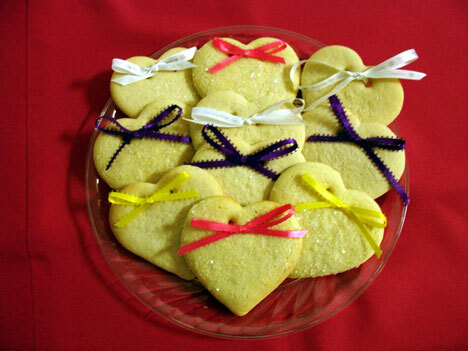 Now, it's time to summon your inner "Martha"... Bake a bunch of heart shaped cookies. (If baking is out of the question, just get them made.) Make sure each cookie has two holes at the top so that you can tie a pretty ribbon on each. If you are feeling really domestic, perhaps you can write your initials on each cookie with colourful icing. 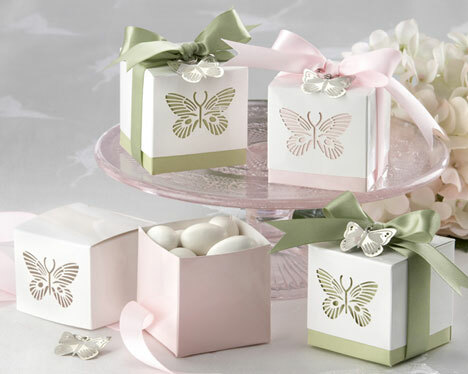 We love boxes and tins because they can really make an impact on your table décor. Pick out boxes or containers in the colour theme of your choice, fill them with whatever you like: chocolates, gummie bears, wildflower seeds... You get the picture? Do not forget to finish them off with a decorative bow. Assemble them around your centerpiece, or place one at each setting. Favours often take up a lot of time and money when, really, you can create something both useful and decorative with everyday items that everyone enjoys. Find inspiration in the little things that make you or your fiancé tick. 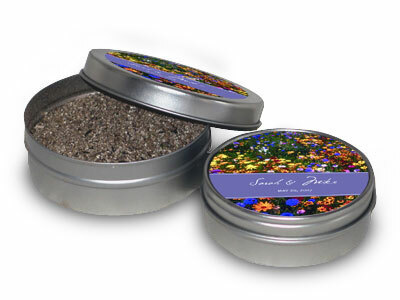 Perhaps, you can't live without chocolate or maybe he collects seeds.... Whatever your thing is, use it to create a little memento of the two of you that your guests can take home with them. 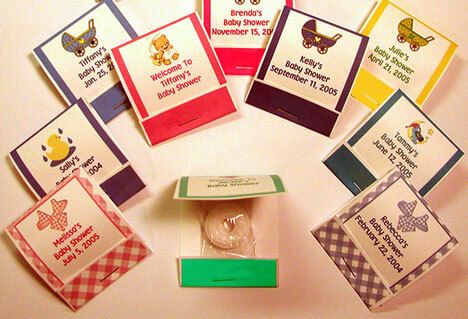 And, if that fails, there are always those handy DIY favour kits! Or, if you're strapped for time, you can always find an online novelty party supplies store, such as One Way Novelties, that have a great selection and are based in Canada.